Finally finished KH3 yesterday, just in time to analyze this chapter! 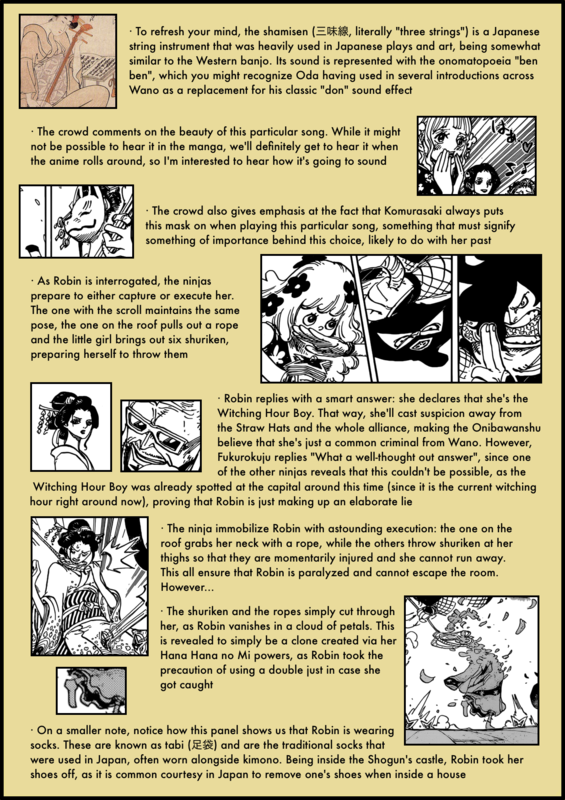 It might focus away from the scenes with Sanji and Big Mom, but personally I’m loving the focus on the action at the palace, it’s very interesting to see how it descends into chaos, kinda like the tea party. Let’s get on to the analysis! He compares her to a flower, and implies himself to be clean and pure water, which flowers need to grow. In contrast, he refers to the men hes talking to as dirty water that wouldn’t be able to let her bloom, and he does chastise the men for wording it as him “raising” her. Simply put, hes saying that she isn’t some animal or pet he raised, but she grew up this well because she was with someone of high class like Kyoshiro. 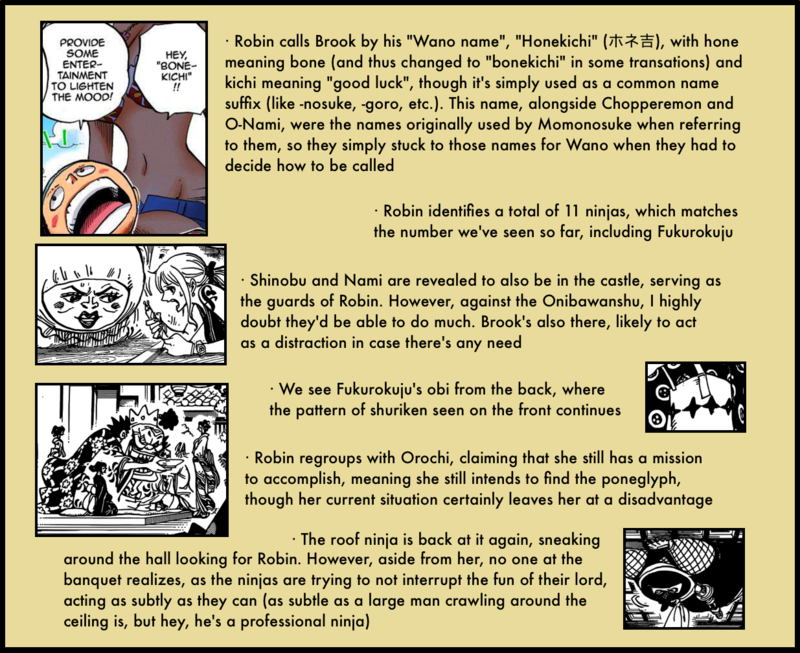 Theres implications of a long standing sexual relation here, but ultimately, the biggest takeaway here at the moment is that hes sticking the Wano classism right in our face. The other men hes talking to cant say anything back to being called dirty water by him because hes of a higher status, they can only laugh it off and agree. He was seen coming out from her room while putting on his robes, implying that he was naked inside with her, probably sleeping after a night of you know… I’m starting to believe that there is something else though, and he might be protecting her for some reason. He looks too much as a possible ally. Hey Artur! I just wanna thank you for all the work you do, I truly enjoy each an every in-depth analysis you’ve ever done! However, for the first time, I find myself… Wondering. 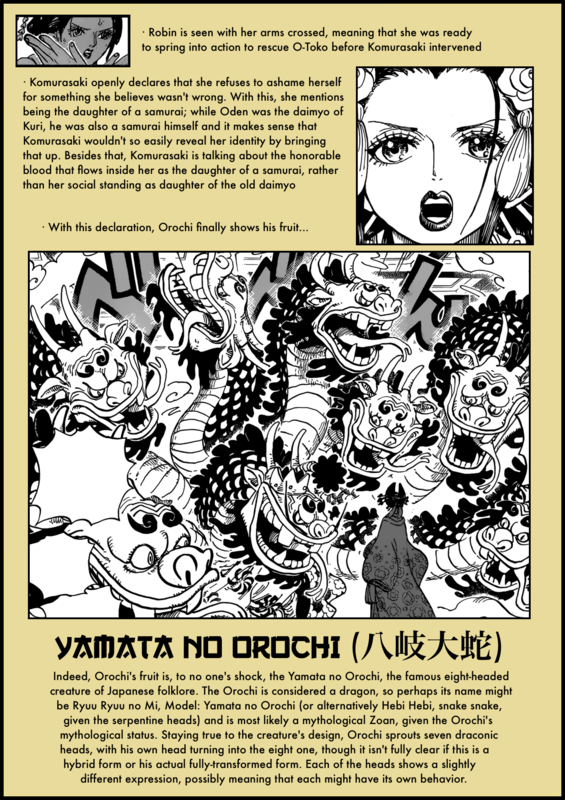 I just felt something was off when Orochi “transformed”. 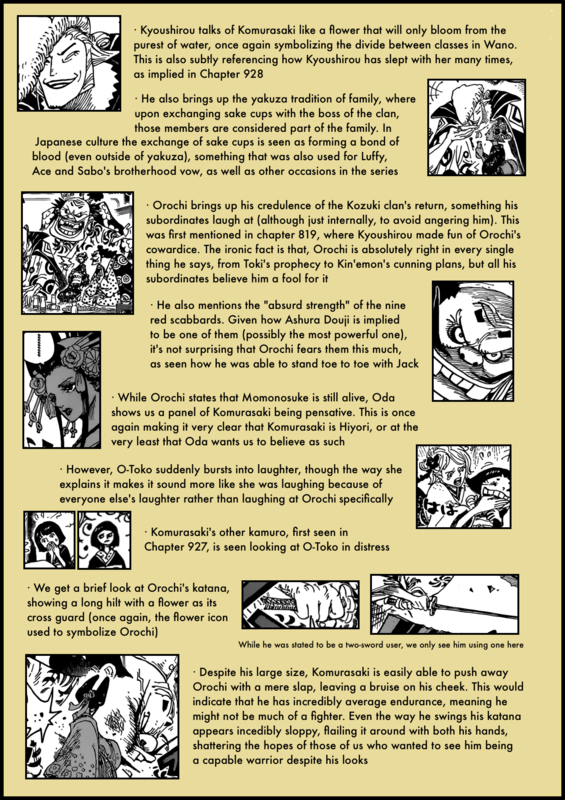 Usually, at these points, Oda would introduce the fruit by name, and this time, it wasn’t. 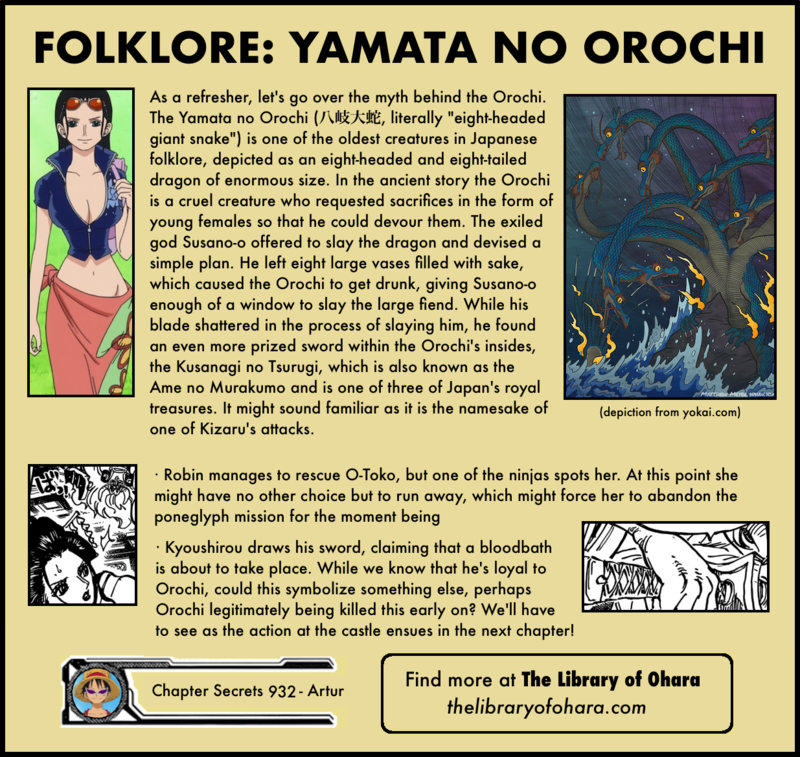 I can’t help but feel that his true fruit isn’t the Yamata no Orochi, but rather some kind of illusion fruit or some kind of Logia fruit in which he simply takes on the form of the Yamata no Orochi. 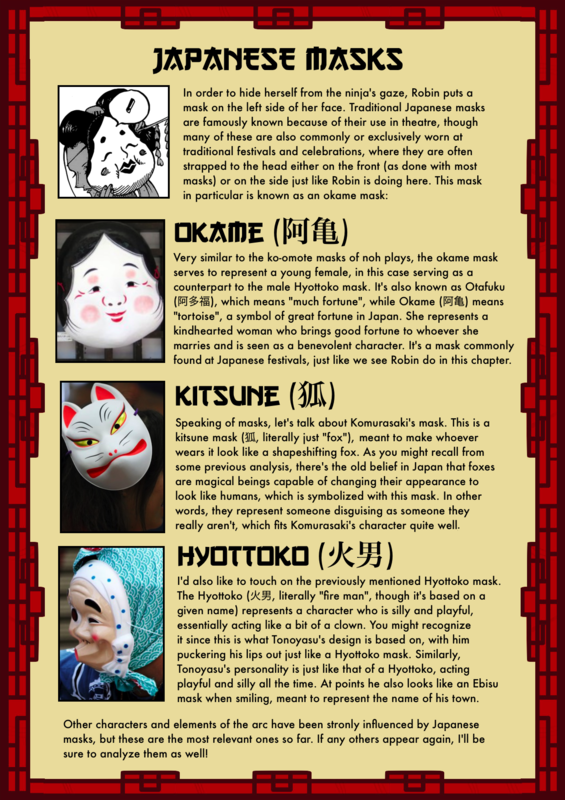 I wasn’t excited to see Orochi’s 8 headed form… until I saw it. Surprised by how much I was into his ugly mug dragonized. A very striking image and somewhat intimidating despite his goofiness. The style almost reminds me of 1930s comics too! 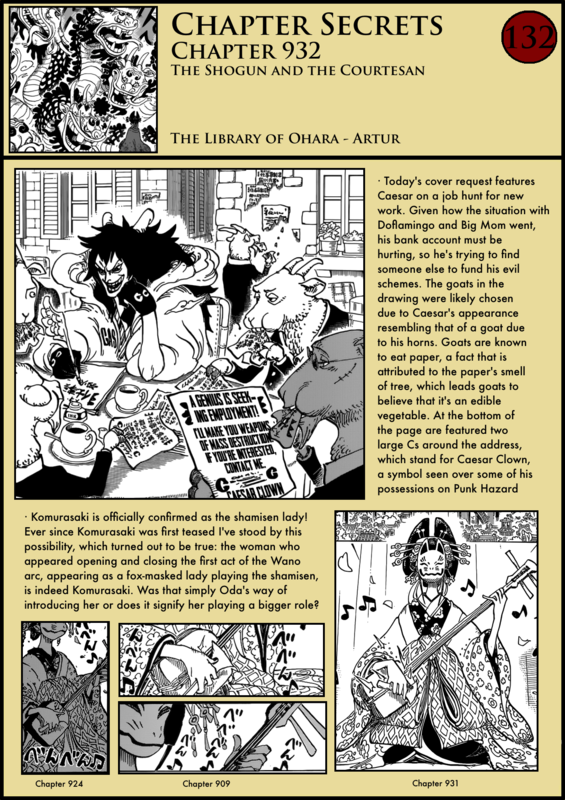 Good job, Oda.